Founded in 2007, FineMark offers a comprehensive array of banking, trust and investment services to clients interested in establishing long term, high touch relationships. FineMark is dedicated to providing a culture of service to our clients and making a positive difference in the communities we serve. The only way to serve you, is to truly know you. At FineMark, we take the time to build relationships. We listen and ask questions; we are committed to earning your trust and understanding your goals; and we will always help whenever and wherever we can. No task is too big or too small for personalized, one-on-one service. At FineMark, providing exceptional service is at the core of who we are. Our clients come first and we always work to exceed their needs and expectations. FineMark is a transparent company. We will never hide our actions or decisions and we will hold ourselves accountable for the decisions we make. We will always do what is right and what’s in the best interest of our clients. We are inspired by the generosity, creativity and good will of our clients and our community. We believe it is our responsibility to get involved and give back. It is part of our culture and part of who we are at FineMark. Robert M. Arnall is Executive Vice President and Chief Credit Officer of FineMark National Bank & Trust. Previously, he was Vice President and Senior Lending Officer of Northern Trust. Mr. Arnall is a graduate of the University of Florida. He currently serves on the boards of Goodwill Industries of Southwest Florida and Habitat for Humanity of Lee and Hendry Counties. He has previously served on the boards of the Edison Pageant of Light, the Edison Festival of Light, the Kiwanis Club of Fort Myers, and the Volunteer Center of Lee County. Mr. Arnall has also been active in the development of affordable housing and has worked with the Dunbar Industrial Action Development, Lee County Housing Development, and Cape Coral Housing Development. 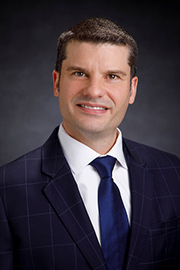 Christopher Battifarano is Executive Vice President and Chief Investment Officer of FineMark National Bank & Trust. Previously, he was Director of Research for Genspring Family Offices/Suntrust Bank. Mr. Battifarano received his undergraduate and Masters degrees from the University of Miami and holds the CFA® (Chartered Financial Analyst) and CAIA (Chartered Alternative Investment Analyst) designations. He is also a member of The South Florida Society of Financial Analysts. Aurelia J. 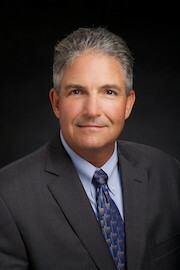 Bell is President and CEO of ArrowHead Partners, Inc., a commercial real estate company that builds, owns, and operates apartment complexes in Southwest Florida and western Illinois. Previously, Ms. Bell was founder, President and CEO of Excell Personnel Services in Chicago, Illinois, one of the largest human resources and executive search firms in the Midwest. Ms. Bell is a graduate of Northeastern Illinois University. In 2010, she founded The DreamCatcher Foundation of Southwest Florida, a non-profit foundation dedicated to helping single mothers in need attain training in medical careers. Michael J. Carron, MD, is the former CEO of Radiology Regional Center, where he practiced as a board certified and CAQ interventional radiologist for 31 years. Previously, he served three years in the United States Navy as a medical officer. 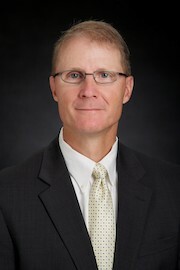 Dr. Carron earned his undergraduate and medical degrees from the University of Missouri, Columbia. He has served as Department Chairman, President of the medical staff, and Trustee of the Southwest Florida Regional Medical Center. Dr. Carron is also a member of the Horizon Council of the Lee County Economic Development Committee, a board member of YMCA Bonita Springs, and a former Trustee for Canterbury School. Thomas D. Case, II is a principal in Case Pearlman Retirement Plan Advisors, LLC, an independent Registered Advisory Firm specializing in the fiduciary management of 401(k) and 403(b) retirement savings programs for companies and non-profits. He is also a principal in Case Life Solutions, LLC, an independent company that designs life insurance solutions for individuals and their companies. Mr. Case is a graduate of Wake Forest University. 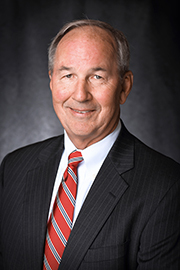 He served as a director on two bank boards prior to joining the FineMark Holdings, Inc. board of directors. 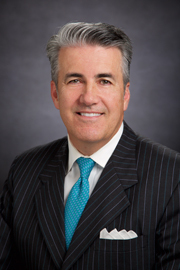 FineMark National Bank & Trust and FineMark Holdings, INC.
Joseph R. Catti is President and CEO of FineMark National Bank & Trust and FineMark Holdings, Inc.
Mr. Catti is a graduate of Florida International University. He serves on the boards of Canterbury School, Community Cooperative, Inc. (Soup Kitchen), Cypress Cove, Florida Gulf Coast University Foundation, Lee Healthcare Resources, Lee Health, Southwest Florida Economic Business Alliance, and United Way of Lee, Hendry, Glades and Okeechobee Counties. He is also the former Chairman of Florida Gulf Coast University Foundation and a former Trustee of Florida Gulf Coast University’s Board of Trustees. Mr. Catti has received the Lee County Philanthropist of the Year award in the area of fundraising, the Boy Scouts of America Distinguished Citizen of the Year award for Lee and Collier Counties, and Voice of the Year by Voices for Kids of Southwest Florida, Guardian Ad Litem. He was also selected as one of Gulf Shore Life Magazine’s Men and Women of the Year in 2010, and was inducted into Junior Achievement’s 2015 Business Hall of Fame for Lee County. 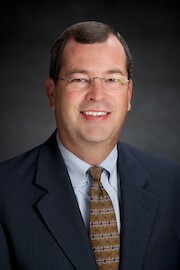 Michael Drohan is Senior Vice President and President – Charleston of FineMark National Bank & Trust. Previously, he was an executive with First Federal of Charleston. Mr. Drohan is a graduate of Western Carolina University. He serves on the board of East cooper Community Outreach and has served on the boards of Ronald McDonald House, United Way, and March of Dimes. 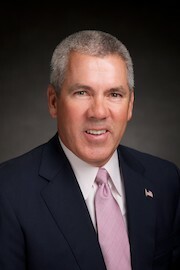 Brian J. Eagleston is Executive Vice President and Chief Financial Officer of FineMark National Bank & Trust and FineMark Holdings, Inc.
Mr. Eagleston earned his undergraduate and Masters degrees from Bentley University. He has significant banking experience including eleven years with the Federal Deposit Insurance Corporation. 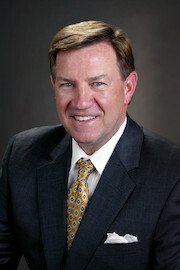 David A. Highmark is Executive Vice President & President & CEO, Arizona for FineMark National Bank & Trust. Mr. Highmark was previously with Northern Trust Bank for 26 years before founding Highmark Sports Management, a financial services company for professional athletes. This company is now FineMark Sports Management, a division of FineMark National Bank & Trust, and is one of the largest financial providers for professional athletes in the country. Mr. Highmark earned his undergraduate degree from Dartmouth College and his MBA from Indiana University. He is founder and former Chairman of Arizona Quest for Kids, an organization that provides school-aged children with the tools and scholarship funds to create a successful path to college and graduation. 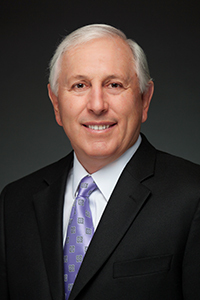 William N. Horowitz is a board certified tax lawyer, retired certified public accountant, and principal of the law firm of Cummings & Lockwood, LLC, where his practice is focused on wills, trusts and estate planning. Mr. Horowitz earned his undergraduate degree from the University of Florida and his Juris Doctorate and Master of Laws (Taxation) degrees from the University of Miami School of Law. 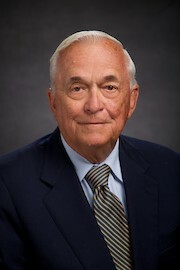 He is a founding director and chairman emeritus of Florida Gulf Coast University Foundation. David H. Lucas is Chairman of the Board of The Bonita Bay Group, a privately-held community development firm. Mr. Lucas earned his undergraduate degree from Purdue University and his MBA degree from Harvard University. He serves on the board for United Way of Lee, Hendry, Glades and Okeechobee Counties, founded the United Way’s local Alexis de Tocqueville Society and continues to serve as its chairman. 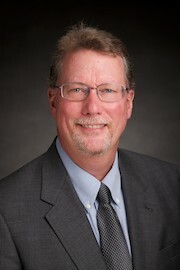 Mr. Lucas also serves on the executive committees of the Reformed Theological Society, Southwest Florida Community Foundation, and the Florida Gulf Coast University Foundation. 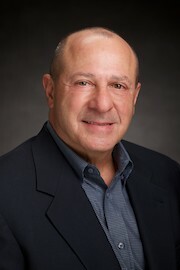 Vito S. Manone is President of Manone Investments, Inc. Previously, he was the CEO of Intertech Resources, Inc., a medical products manufacturer based in Chicago, Illinois. Mr. Manone is a graduate of Marquette University. He serves on the boards of Pharos Systems, Cibola Vista Properties, and Northfield Medical as well as several private equity firms. Mr. Manone is also the Treasurer of the Catholic Community Foundation for the Diocese of Venice, Florida. 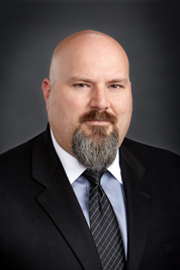 Jason L. Manwell is Vice President, Information Technology of FineMark National Bank & Trust. Mr. Manwell was an 88K10 Watercraft Operator on LCM8 boats in the United States Army. He began his IT career providing computer technical support for Compaq and Gateway. As a former service member, Mr. Manwell volunteers at the Military Heritage Museum at Fisherman’s Village in Charlotte County. 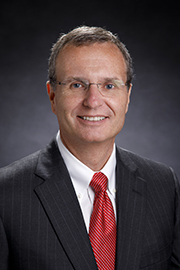 Jeffrey B. Moes is Executive Vice President and Chief Fiduciary Officer of FineMark National Bank & Trust. Previously, he was a Senior Vice President at Northern Trust Bank. Mr. Moes earned his undergraduate degree from the University of South Florida and his Master’s degree from Florida International University. 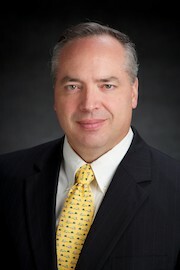 Robert A. Parimore is Executive Vice President and Chief Risk and Compliance Officer of FineMark National Bank & Trust. Previously, he spent 24 years as a bank regulator for the Office of the Comptroller of the Currency. Mr. Parimore is a graduate of University of South Florida and is very active with his church. 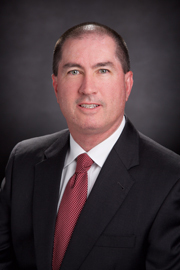 Harlan C. Parrish is Executive Vice President and President – Lee County of FineMark National Bank & Trust. Previously, he was Aliant Bank’s Alabama President. Mr. Parrish earned his undergraduate degree from Auburn University at Montgomery, completed Graduate School of Banking at the University of Wisconsin as well as Bank Administration Institute (BAI) School of Retail Banking. He serves on the boards for the Foundation for Lee County Public Schools and Southwest Florida Family Business Foundation, is a trustee for the Bentley Village Foundation, and an advisory board member for the Department of Finance and Economics at Florida Gulf Coast University. Mr. Parrish also serves as Allocations Team Lead for the United Way in Bonita Springs. 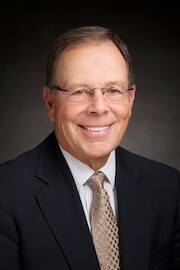 Gerald M. Roberts is Executive Vice President and Private Wealth Advisor of FineMark National Bank & Trust. Previously, Mr. Roberts was Senior Vice President and Senior Investment Officer of Northern Trust in Naples and Fort Myers. Mr. Roberts earned his undergraduate degree from Michigan State University and his MBA from the University of Michigan-Flint. He serves on the boards of the Foundation for Lee County Public Schools, Lee County American Cancer Society, and the Investment Committee of Lee Memorial Health System. Mr. Roberts is also an active member of the Atlanta National Finance Committee for the American Cancer Society. 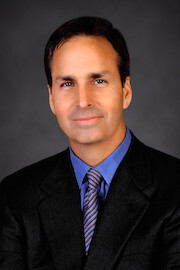 David H. Scaff is Executive Vice President and President – Palm Beach of FineMark National Bank & Trust. Previously, he served as President of First National in Palm Beach, a branch of Wachovia Bank. Mr. Scaff earned two undergraduate degrees from North Carolina State University, is a graduate of the American Banking Association’s National Graduate Trust School at Northwestern University, and is a Certified Trust and Financial Advisor. He is active with the Society of the Four Arts and the Palm Beach Community Chest/United Way. 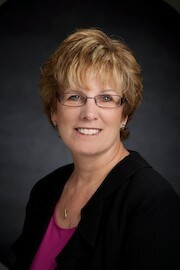 Malinda L. Schneider is Executive Vice President and Loan Operations Manager of FineMark National Bank & Trust. She has over 30 years of bank management experience. Mrs. Schneider is a graduate of the University of St. Francis. She is active with United Way and has served as the coordinator for FineMark’s Pacesetter Campaign. 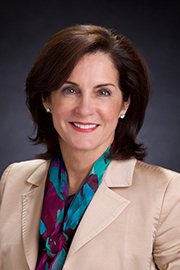 Adria D. Starkey is Executive Vice President and President – Collier County of FineMark National Bank & Trust. Previously, she served as Chief Operating Officer of The Sanibel Captiva Trust Company. Mrs. Starkey is a graduate of University of Florida and has done post graduate work at Florida International University, University of Miami, and University of North Carolina. She has been appointed by the Governor to The Florida Prepaid College Board, and also serves on the boards of The HealthCare Network Foundation, Gulfshore Playhouse, and Friends of Baker Park. Mrs. Starkey serves in an emeritus capacity for Naples Children and Education Foundation and The Shelter for Abused Women and Children. She also serves on the advisory board of The Lutgert College of Business, the advisory council for Angels Undercover, and is a mentor for Champions for Learning. Mrs. Starkey was named Woman of the Year by Gulfshore Life and Woman of Achievement by The Community Foundation in 2000, and received the Edison College Leadership in Fostering Education Award in 2008. 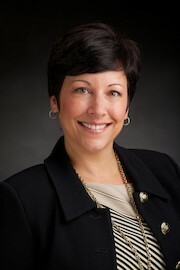 Jennifer L. Stevens is Executive Vice President and Human Resources Director of FineMark National Bank & Trust. 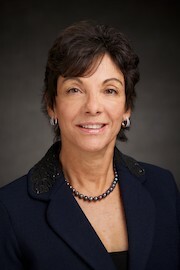 Previously, she served as Senior Vice President and Human Resources Director of The Bank of Commerce in Sarasota. Mrs. Stevens is a graduate of Eckerd College. She has served on the board of the Sarasota-Manatee Human Resources Association and is a Supervisor Academy instructor and member of the Education Council for the Florida Bankers Association. 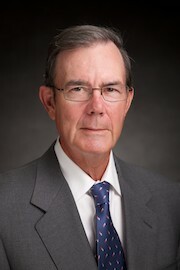 Richard E. Beightol is President of the Beightol Foundation. Previously, he was founder, Chairman and CEO of National Worksite Benefits, Inc. and National Worksite Advantage until both companies were sold in 2001. Mr. Beightol is a graduate of the University of Iowa. He served as President of the Southwest Florida Speakers Assembly and the Leukemia Society of Milwaukee. He also served as a director of the Milwaukee Public Museum and co-chair for the United Way in Bonita Springs. Edward G. Beimfohr is a partner of the law firm of Windels Marx Lane & Mittendorf, LLP, and is a member of the firm’s Private Client Services, Estates & Trusts Practice Group. He is a member of the American Bar Association and the Association of the Bar of the City of New York. Mr. Beimfohr co-chaired the Corporate Tax Committee for the Taxation Section of the New York State Bar Association. Mr. Beimfohr earned his undergraduate and law degrees from Washington University. He is a current or former director of Minorco (LUX) Inc., Terra Industries, Task Group Holdings, General Nutrition, Engelhard Hanovia, Bonita Bay Properties, and American Heritage Publishing and Fulfillment Corporation of America. Mr. Beimfohr is also a current or former trustee of the following charitable organizations: American Paralysis Association, Paper Mill Playhouse, New Eyes for the Needy, Charles Engelhard Foundation, and David & Lois Shakarian Foundation. 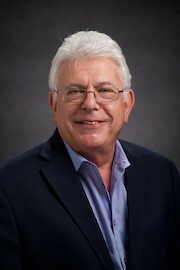 John F. Blais, Jr. is founder and President of BlaisCo, LLC, a financial holding company. Previously, Mr. Blais was the CEO of NetOptix, a leader in designing and manufacturing multilayered infrared optical interference filters. Prior to that, he founded and served as President and Chairman of Optical Filter Corp., a company that designed and manufactured highly sophisticated optics for use in military, medical, and commercial applications. Mr. Blais also helped develop the first Vertical Temperature Profile Radiometer (VTPR), an application used in space for infrared viewing of the Earth’s atmosphere. Mr. Blais holds an honorary doctorate from the University of Massachusetts Medical School and an honorary doctorate from Nichols College in Dudley, MA. A philanthropist and patron of the arts, he has made significant contributions to numerous medical, educational, and scientific endeavors. Mr. Blais is currently a Trustee of the Dana Farber Cancer Institute and a director of TCG, a tactical communications group. Mr. Catti is a graduate of Florida International University. He serves on the boards of Canterbury School, Community Cooperative, Inc. (Soup Kitchen), Cypress Cove, Florida Gulf Coast University Foundation, Lee Healthcare Resources, Lee Memorial Health System Foundation, Southwest Florida Economic Business Alliance, and United Way of Lee, Hendry, Glades and Okeechobee Counties. He is also the former Chairman of Florida Gulf Coast University Foundation and a former Trustee of Florida Gulf Coast University’s Board of Trustees. Vice Chairman of the Board, FineMark Holdings Inc. 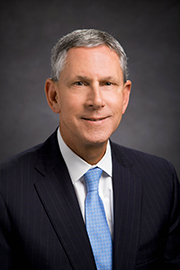 Retired Chairman, President & CEO, Chico’s FAS, Inc.
Scott A. Edmonds is the founder of Bellfield Investment Partners, a private equity investment firm. Previously, Mr. Edmonds was the Chairman, President, and CEO of Chico’s FAS, Inc., a NYSE-listed women’s clothing retailer. Mr. Edmonds serves on the board of Revolution Dancewear and has served on the boards of Florida Council of 100 and the Foundation for Florida Gulf Coast University. He is active in numerous community organizations in Fort Myers, Florida and Mathews, Virginia. Tracey U. Galloway is the CEO of Community Cooperative, Inc., a nonprofit organization fighting to end homelessness and hunger in Southwest Florida. 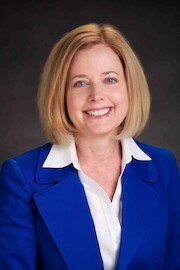 Previously, Mrs. Galloway was Vice President for Development and Alumni Relations for Edison State College, now Florida SouthWestern State College. Additionally, while serving as Executive Director for the Edison State College Foundation, Inc., the foundation grew to the fifth largest endowment in the Florida Community College System. Mrs. Galloway earned her undergraduate degree from Northwood University and her MBA from Nova Southeastern University. She is deeply involved in the community and has served on many local boards and advisory committees including Grandeur Magazine, Florida (past President), National Council for Resource Development, Junior League of Fort Myers, American Cancer Society, and American Heart Association. Mrs. Galloway was named a Florida Weekly Power Woman and one of Southwest Florida’s Most Powerful and Influential Women by Gulfshore Business Magazine. Hale S. Irwin, a 1995 inductee to the World Golf Hall of Fame, has 20 PGA wins, is a three time U.S. Open winner, holds the record for the most Champions Tour wins at 45, and has played on five Ryder Cup teams. Mr. Irwin continues to play on the Champions Tour. He is a graduate of the University of Colorado. Mr. Irwin works with the Phoenix Chapter of the First Tee, the Wounded Warrior’s program and other foundations that support our US Military personnel. He has also raised over $15 million for St. Louis Children’s Hospital through 25 years of hosting the Hale Irwin St. Louis Children’s Hospital Golf Benefit. Clive L. Lubner is CEO of Clive Daniel Home, a home furnishings and design services company. Previously, he was a partner of Robb & Stucky, Inc.
Mr. Lubner immigrated to the United States from Johannesburg, South Africa, settling in Southwest Florida. He serves as an advisory board member of Florida Repertory Theatre Company and is also active in many philanthropic activities. 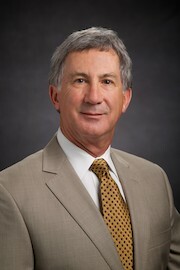 Former Chairman & CEO, WilsonMiller, Inc.
Alan D. Reynolds is Vice President of Stantec Consulting Services, Inc., one of North America’s largest engineering and design firms. Mr. Reynolds is a graduate of Miami University, Oxford, Ohio. 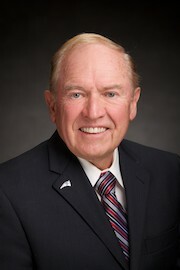 He is a member of the Florida Chamber Board of Governors, the Florida Gulf Coast University College of Business Advisory Board, Trustee Emeritus for the Community Foundation of Collier County, and is a founding director of Southwest Florida Economic Development Alliance. Mr. Reynolds has also served as Chair of Leadership Florida’s Southwest Region and is a member of the Statewide Board of Regents. Lee J. Seidler, PhD, is the former General Partner and Managing Director of Bear Stearns & Co. Previously, he taught accounting, auditing and financial reporting at New York University’s Stern School of Business, Columbia University, and at universities in Turkey, Brazil, and Hungary. 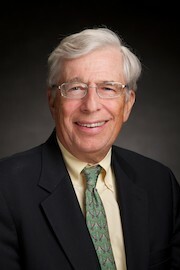 Dr. Seidler earned his undergraduate, Masters, and Doctorate degrees from Columbia University. He is also a certified public accountant. Dr. Seidler serves on the boards and chairs the audit committees of The Shubert Organization, The Shubert Foundation, Winthrop Realty Trust, and Florida Gulf Coast University Foundation. 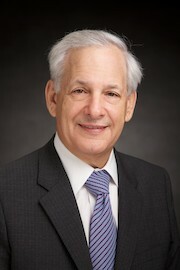 He is also Chairman Emeritus of the Tisch Multiple Sclerosis Research Center of New York. Mr. Turner is the former President and CEO of PNC Bank, New Jersey. Previously, he served as Vice Chairman of Chase Manhattan Bank. 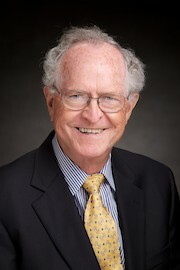 After retiring from banking, Mr. Turner was the Founding Dean of the College of Business at Stony Brook University. Mr. Turner earned his undergraduate degree from Trinity College and his MBA from New York University. He serves on the boards and chairs the audit committees of Standard Motor Products, Inc. and Threadneddle. 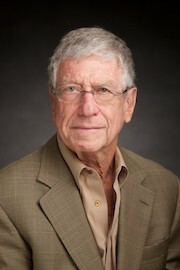 Mr. Turner also serves as Chairman of International College of Beirut and Bloomfield College in New Jersey. Martin M. Wasmer is the Principal and CEO of Wasmer, Schroeder & Company, an investment advisory and portfolio management company. Mr. Wasmer is a graduate of University of Miami, Florida. He serves on the boards of Professional Givers Anonymous of Collier County, Alzheimer’s Support Network, and the investment committee of Conservancy of Southwest Florida.